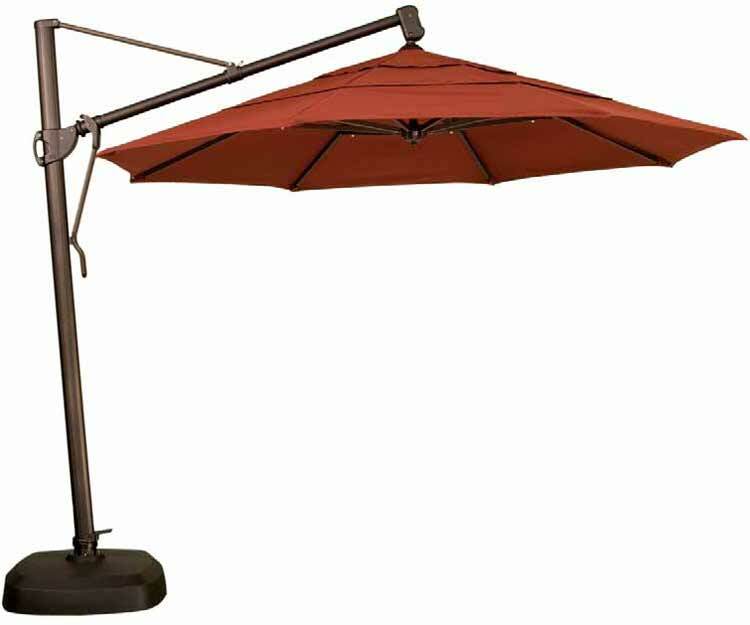 When looking for a larger patio umbrella, our Cantilever Collection is offered in several sizes, packed with features and function. Sizes range from 9 ft. octagon to 13 ft.; we also carry 10 ft. and 11ft. cantilever patio umbrellas available in octagon and square shape. Our multi-position provide many shade solutions by providing the opportunity to easily shade several areas.